My kids had brought home some bean plants from school which we planted out front and they did great we had beans almost daily but we later went to move the bean plants because of planting flowers, they didn't survive. Thanks to receiving Sunny-Side UP Gardens we are able to start over. I received 2 fun kits which the kids were more than happy to take out of my hands and start on right away. 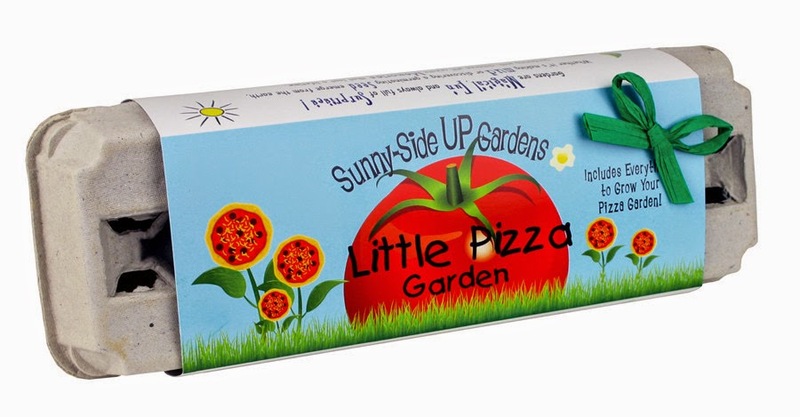 The first kit I received was the Little Pizza Garden. The Little Pizza Garden, came with 6 types of seeds: Vine Ripe Tomatoes, Sweet Basil, Greek Oregano, Green Bell Pepper, Italian Parsley and finally Crunchy Scallions. I must admit I had no clue as to what Scallions were until we did this garden. 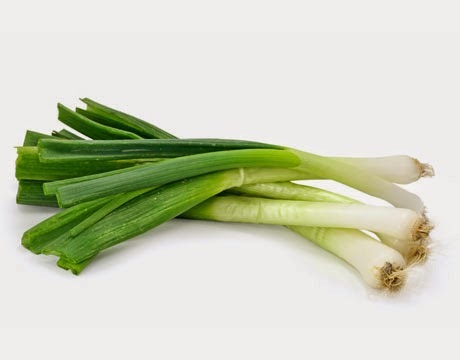 Which for you that are like me here is a pic of what it is.....I have used these all this time and never knew that was the name ha ha I thought it was a skinny onion. Anyhow the Little Pizza Garden has all the veggies you need to make the perfect pizza sauce and toppings, to think you grew this is truly the reward. The other is Little Fresh Veggie Garden, which has 6 types of seeds as well: Green Beans, Yellow Summer Squash, Sweet Baby Carrots, Crunchy Red Radishes, Baby Watermelon and Little Leaf Cucumbers. I really love this kit because, since my kids are helping to grow these veggies they are more likely to try them. Turns out my kids love a lot of the veggies, now that they know where they come from. 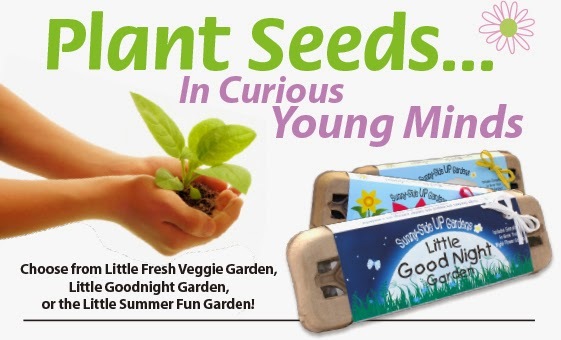 All the Sunny-Side UP Gardens come with 6 sets of seeds, starter soil, wooden plant ID sticks, growing instructions and a 100% recycled fiber egg carton planter. So if your seeds start growing into your egg carton like a few of ours did, you can cut the carton and plant it in the ground over time it will be consumed by the earth. The Sunny-Side UP Gardens are a great way to enjoy a fun family activity. 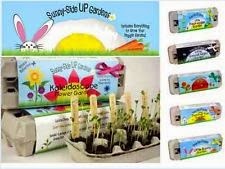 You can purchase the Sunny-Side UP Garden kits by clicking here. Also keep up to date with what other gardens they may come up with by liking them on Facebook.